Are you a trail organizer? Trace Trail offers you many tools to help you prepare your courses, estimate distances and elevations, communicate on your courses and participate in the success of your day. Some tools are free to access (you just have to create a free account) and others need to subscribe to an annual subscription online or a specific quote. Subscriptions allow you to benefit from more features on Trail Trace to create your courses and specific tools to highlight your event. Trace de Trail offers two subscriptions for pr o: premium and premium +. You can purchase these subscriptions directly online with a credit card or paypal payment; You will receive an invoice by email once the transaction has been validated. You want to make another type of payment (bank transfer ...), contact us by email. * The communication pack includes the promotion for your race on the Trace de Trail Facebook page, a publication in our newsletter and a slide on the home page of the website for 15 days. With this offer, we work on your tracks and provide them "turnkey", ready to display on your own website. the offer includes access to the tools of the Premium subscription. 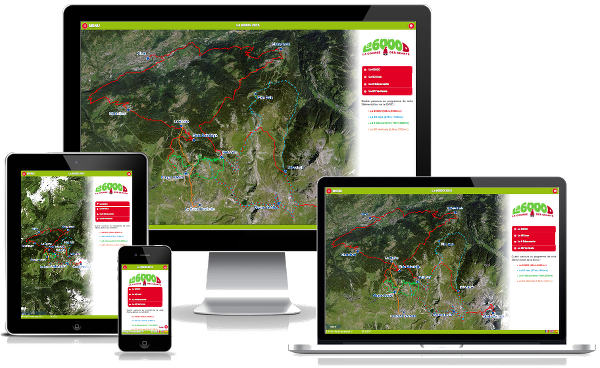 This page allows you to highlight your routes and offer trail runners all the information to prepare their race. An overview of the routes, with interactive points of interest to highlight the main places crossed. 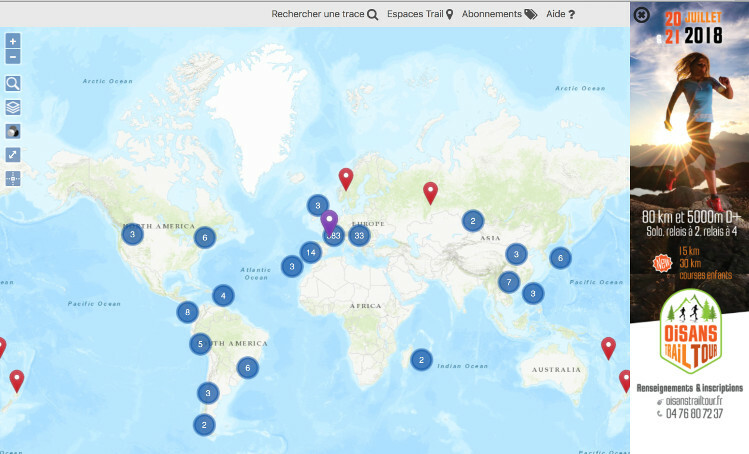 This general map is enriched with a photo gallery. 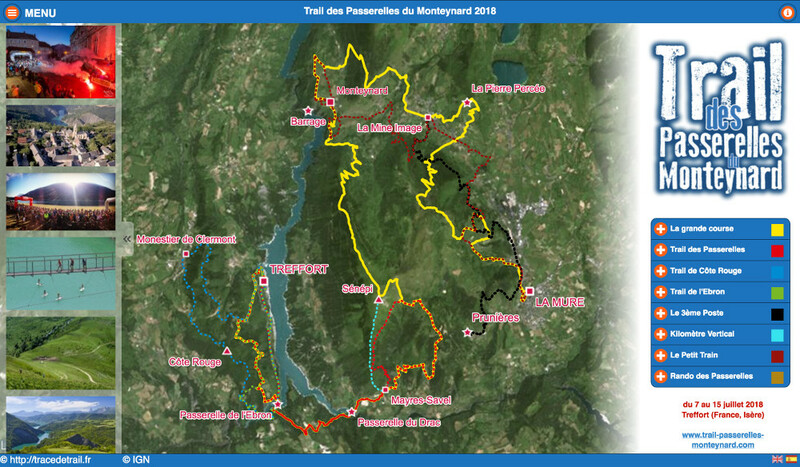 A detailed online roadbook, portion by portion, downloadable in pdf format. 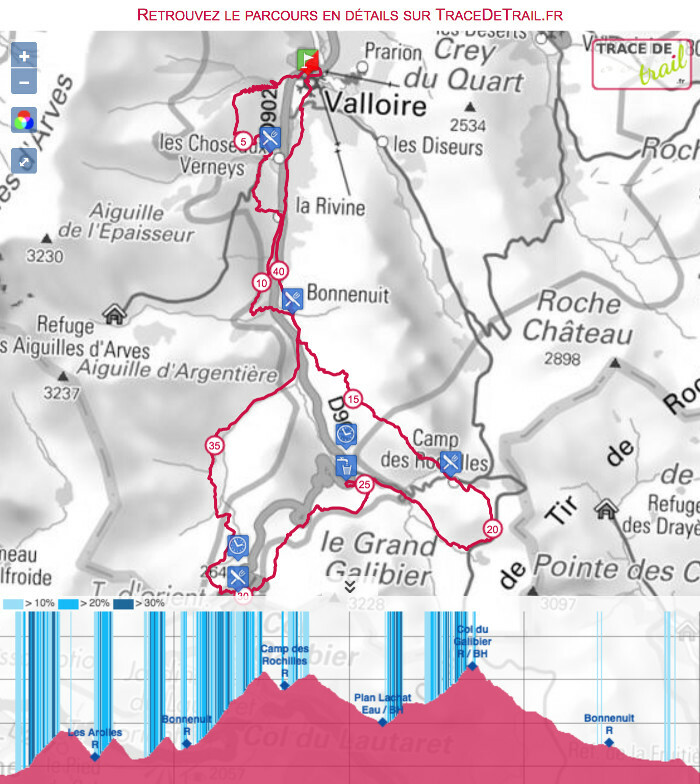 Trace de Trail offers an advanced profile generator to illustrate the different stages of your track. You can create a totally personalized altimetry profile that will allow trail runners to easily identify the difficulties of the route..
Intermediate distances and elevations can also be displayed on this profile. a double-sided plasticized profile with zip that the trail runner can hang on his backpack: this format makes it easy to consult the profile in any season. The zip is customized with two Doming stickers. These profiles may be offered to trail runners or sold with an option to activate when registering for the race. 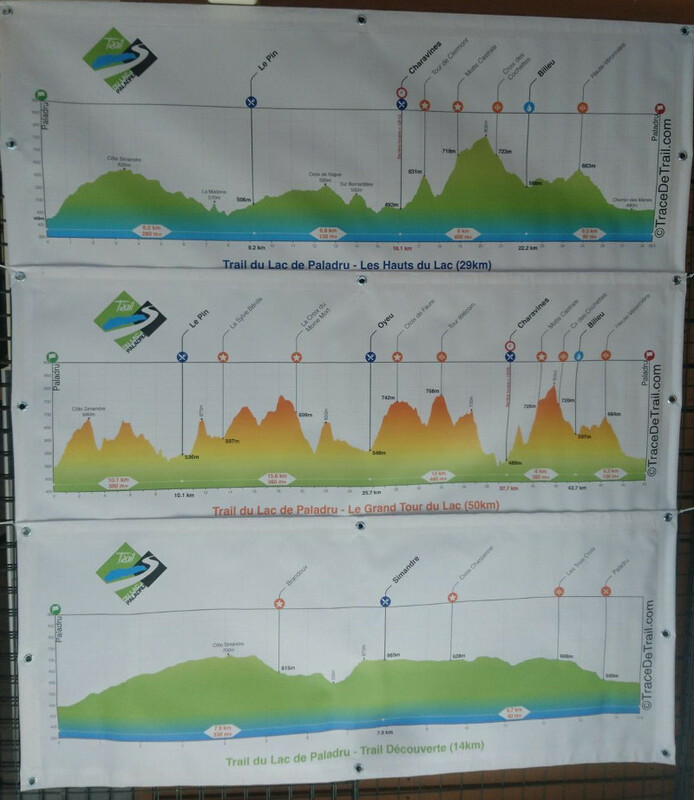 The profile on PVC tarpaulin: this profile in large format can be placed on a support adapted to be seen by the runners on the day of the race. 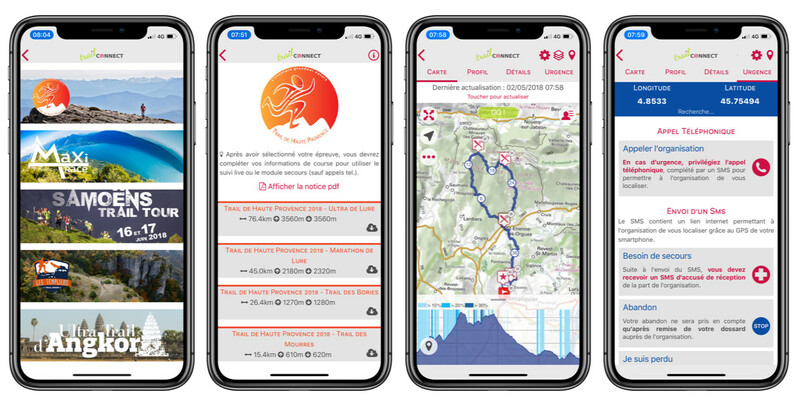 Trail Connect is a mobile application available on Android and iOS where you can find all tracks available on Trace de Trail. This application offers many features including workout recording or live tracking with subscription. For your competition, we propose you to offer to the runners all the courses of your race in the competition module of Trail Connect. Be followed by their friends by activating live tracking. They will be able to follow the runner either directly in the Trail Connect app or on the Trace de Trail website (responsive). Use the emergency module : this module is set up with the phone numbers of the organization. The runner will be able to send an SMS with a link to locate him on a map. Trace de Trail is visited by over 10,000 users a day. Take advantage of this audience of trail runners to make known your event. We also realize the sending of newsletter provided by you that we distribute to our users (60 000 mailings in April 2018). The opening rate of the mails is between 25 and 30%. 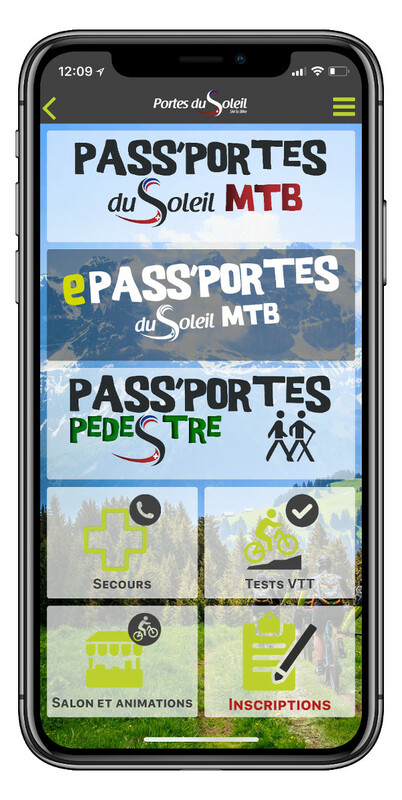 Trace de Trail has a solid experience in developing mobile applications around outdoor events (trail running, mountain biking, hiking ...). We can offer you a custom application, available on iOS and Android, to present your events to participants.